Hi & Welcome to NeoEE.net! 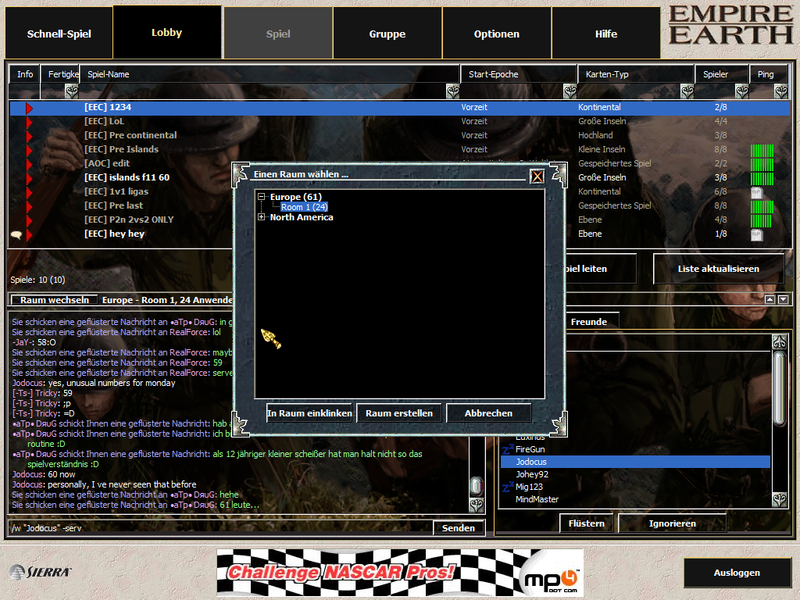 NeoEE is the place where you can play Empire Earth 1 and its expansion The Art of Conquest together with hundreds of other players for free. 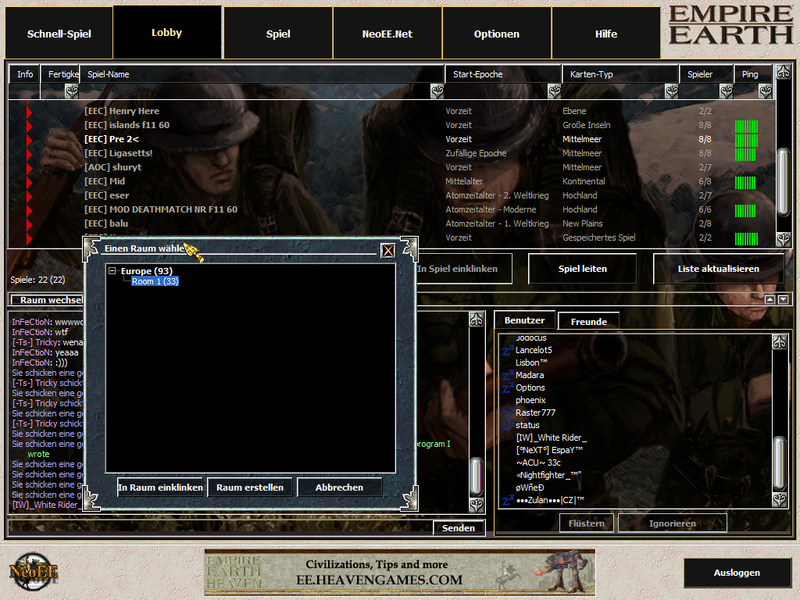 Join our community and enjoy Empire Earth on the original lobby servers that once have been shut down by Sierra/Activision. Just install the patch and get right into the game! Step 2: Install the patch. Make sure you have got a working internet connection. 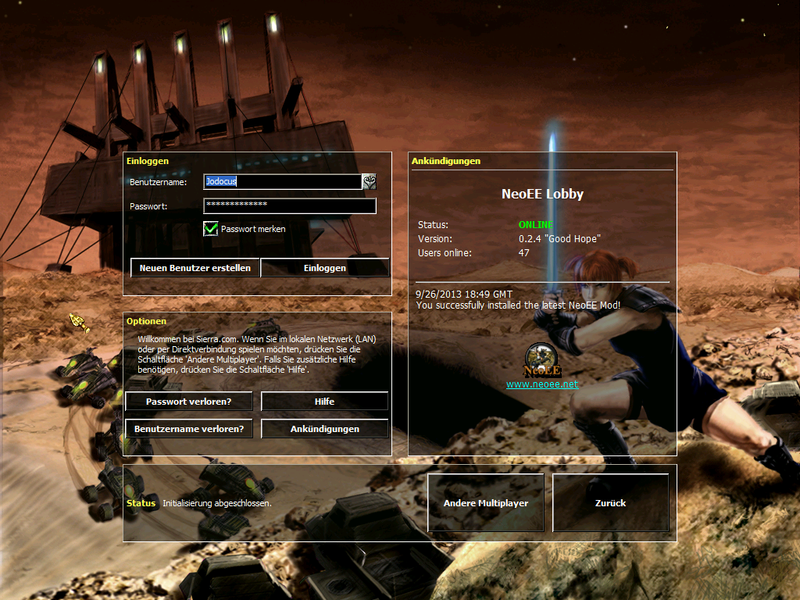 Step 3: Start Empire Earth, click on Multiplayer, go Create Account and log right into the lobby. If you face any problems during installation (especially if you should have problems with CD-Key) let us know via support@neoee.net or in our re-opened guestbook!